Ecstattic Studio is the professional recording company started and managed by Ali Jaafar. Formerly located in the converted attic space of a South Minneapolis home, we are now based out of a large multi-purpose recording/rehearsal space near downtown. We offer tracking, mixing, mastering (for digital and vinyl) and whatever else you can think of at affordable rates. We book time based on a very reasonable day rate for longer projects and a competitive hourly rate for shorter projects. The goal is to get you a great sounding record that you can afford. 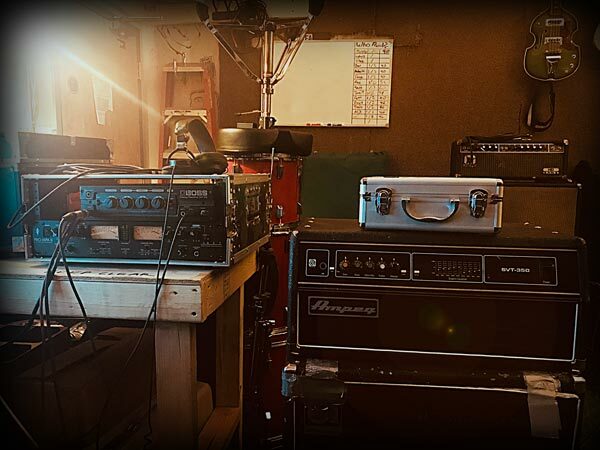 We also offer location recording services( using our completely mobile, modular recording rig) as well as sessions booked at other, larger pro studios if needed. We're interested in natural sounds made by humans in real places. We place a premium on live tracking, analog sounds and good vibes and are willing to work with you to get the sounds you want, regardless of how hi-fi, lo-fi, weird or not weird they may be. We are proud to work in the studio's established style of "Artist-Fi" a.k.a. however dirty, clean, wet, dry, big, small or whatever that the song (and its composers) require. Ecstattic remains proudly and professionally committed to bringing these creations into the world, unfettered by social pressures and industry norms. email / phone / facebook / etc. with any questions.